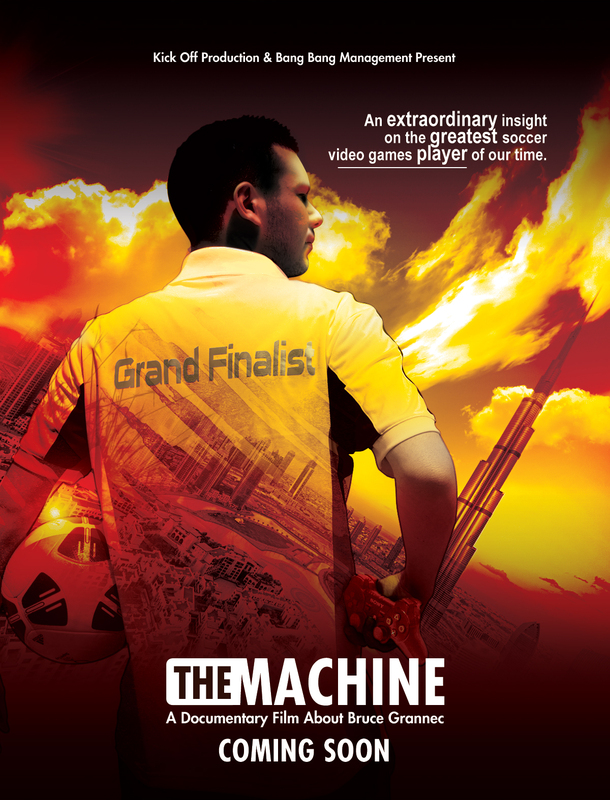 The Machine is a feature-length documentary that chronicles the life of Bruce ‘Spank’ Grannec, considered by many as the best virtual football player of the world. The movie especially focuses on the 2012 FIFA Interactive World Cup, straight from the beginning of the French qualification to the Grand Final held in Dubaï. It offers a unique opportunity to understand eSports and the incredible capacities of their best representatives. The name of the movie, The Machine, is a reference to Bruce ‘Spank’ Grannec nickname, due do his exceptional self-control during any game he played. How did you come across this particular sport – what brought you there? Geoffrey : I’m a kid of video game. I played on almost every support, and i can remember playing competition game like Counter-Strike with little brother. I also made some LAN 10 years ago where i discovered first steps of eSports. So it was a project i was totally fitting in when Bertrand Amar offers me it. Geoffrey : Absolutely no limit. We had some exchange with FIFA prior to the grand final, but we had the opportunity to record everything we want. Our camera stayed in Bruce Grannec room during all the stay, meaning we were able to shot his privacy. He just asked us to remove the mic on him when he played, because it was disturbing him. That’s all. How much footage was shot vs. what made it into the film ? Geoffrey : We shot around 15 hours of footage i’d say, plus around 10 hours of interview some months later with Bruce ‘Spank’ Grannec, Alan ‘zaL’ Brin, Mahmoud ‘Brak’ Gassama, Sven ‘S-Butcher’ Wehmeier and Matthieu Dallon. That’s a lot for a 52 mins documentary. It offers us a lot of possibility for the editing, but also some serious headaches ! What did you impressed the most ? Geoffrey : Well, two things. The first one is the organisation. I don’t know how much the event cost, and i don’t want to know. But i can say that the result was simply outstanding, and in these times of trouble for the FIFA, we can praise them. The second thing is the behavior of Bruce’s opponents. They showed during all the tournament a huge respect for him and his achievements. We talked with a lot of them, and we rapidly understood that he was a very special player for them, someone they all wanted to be a day. What’s the difference between a virtual football game and a real football game ? Geoffrey : When you’re a football player, you’re one of the 11 players of your team. When you’re a virtual football gamer, you’re the whole team. You’re playing a team sport, individually. That’s the main difference. You’re a player, manager, you’re everything. So i would say that’s it’s more hard to become a really good virtual football gamers, as you have to handle many more things at the same time.